The past year has been interesting. I am left wondering, at times, what the next day will bring and how I will navigate the waters of uncertainty that sometimes accompany living life. I am always striving to be better. To do better. To be all that God created me to be and yet so often I fall short in that endeavor. The past 4 years I have taken the lead of Chris Brogan (author, journalist and social media expert) and chosen 3 words to focus on and guide me through the year. I “think” I picked up on this from Katybeth at Odd Loves Company back years ago when she talked about it but it has been a really good tool for me over the years. The words I have chosen previously have all been great words. 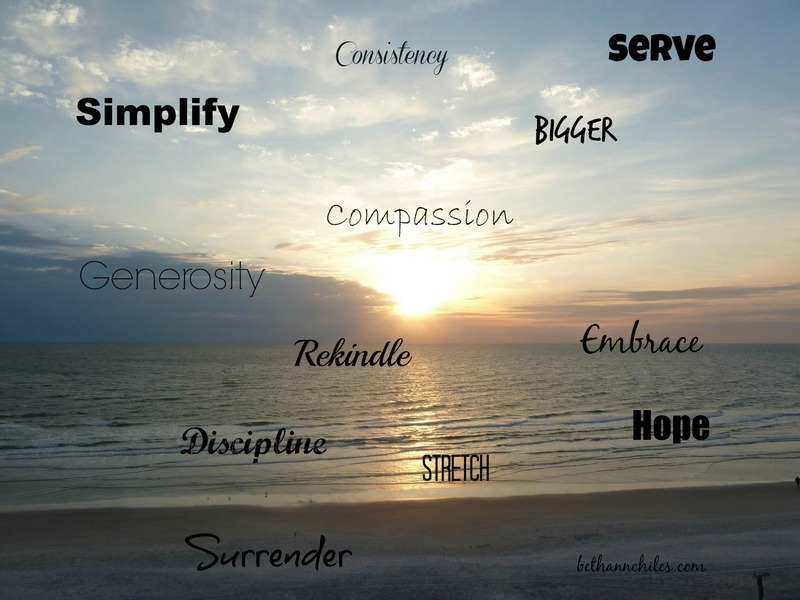 They all held different meanings for me and it seemed like each time I focused on the words for the year I was able to recenter and pull myself back into a sense of purpose. I need purpose in life. Resolutions have never been my strength. I have problems with “stick-to-itiveness” and always have felt that I have failed when it came to keeping long term resolutions. The one thing that I have stuck to is writing this blog. I am not sure why this has become my “thing” but it has. It started out as an online journal of sorts, a travel diary, and has morphed into more of an addiction. But a good kind of addiction. I have found friends like you who are reading this whom I never would have found before. I have been able to write about my adventures and for some reason a lot of you have stuck around to read about them. I am extremely grateful for that. Life is amazing and my life is enriched by knowing you are out there reading. I have picked up a few new readers lately and am thrilled to be able to get to know each of you a bit better through your comments and perhaps–by returning the favor and following your blog. As 2014 comes to a close within the week I am left wondering what my three words for 2015 will be. The words in the above picture have served me well over the last 4 years and I want to be able to choose words that will guide me through the choppy waters that might be ahead. I will be putting a lot of thought into them over the next week or so. Thanks for coming along for the ride. Come January I will share my new words with you and would love to hear what you intend to focus on in 2015. Comments, as always, are welcome here. Why don’t you share with me what your thoughts are today. « Beth Ann in the Skies With …..
My thoughts today: I am thankful to have had one day when all three of my grown “children” were together at our extended family Christmas. I will always be among your faithful followers, Beth Ann, and one of your biggest fans. You possess a heart that overflows with compassion and care. Thank you so much and you know that the love flows right back at you! Merry Christmas, my friend. Love this! Can’t wait to see what your words for 2015 are! I think I already have an idea of what they are going to be—there may be some repeats. Thank YOU! Same to you! Did you get the book yet???? I keep forgetting to track it. I just checked and it has cleared customs at least. It should get to you sometime!!!! lol that’s funny and a good thing. Yes it will get here! Thank you Beth Ann! Focus for 2015–make more time for art and get rid of unnecessary ”stuff” come to mind. That’s probably enough to keep me busy all year! That does sound like plenty to do in 2015. I agree. I need to do some of the cleaning stuff for sure! Thanks. It has been a really fun thing to see how the words unfold during the year and take shape. WON WORD FOR ME, WELL, TWO WORDS IS, GET WELL. Have you not posted since 12/14 ? I have seen you often though. Thanks for your recent follow of my blog. Hey Carl—This was my old site—somehow you are still seeing that for some reason. 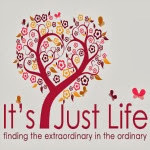 The updated one is at http://www.itsjustlife.me. I still use a WordPress.org platform but am self hosted now so I am still around!!! Thanks for stopping by! Thanks so much for stopping by and reading so many of my posts. Great to meet you and popping over to your blog to say hi! I am with you on choosing words for themes for the year ahead. In 1999, I chose Inner peace and Happiness. On New Years Day I had come to the conclusion I should leave Scotland and return to the home of my ancestors in Ireland. I have never regretted it. What a great move for you! I have done these for quite a few years and sharing them at the first of the year on the blog helps to keep me focused on them.